The King and I opened on Broadway on March 29, 1951. 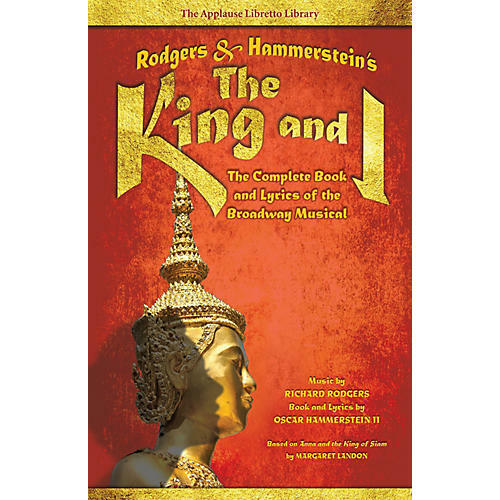 The musical is based on a 1944 novel by Margaret Landon, Anna and the King of Siam, which in turn was adapted from the real-life reminiscences of Anna Leonowens, as recounted in her own books, The English Governess at the Siamese Court and The Romance of the Harem. It is 1862 in Siam when an English widow, Anna Leonowens, arrives with her young son at the Royal Palace in Bangkok, having been summoned by the King to serve as tutor to his many children and wives. The King is largely considered to be a barbarian by those in the West, and he seeks Anna's assistance in changing his image, if not his ways. With both keeping a firm grip on their respective traditions and values, Anna and the King grow to understand and, eventually, respect one another in a truly unique love story. Along with the dazzling score, the incomparable Jerome Robbins ballet The Small House of Uncle Thomas is one of the all-time marvels of the musical stage.